The Friends of Coal Ladies Auxiliary was founded in 2007 by Regina Fairchild. This non-profit organization, headquartered in Beckley, West Virginia, seeks to inform those about the importance of coal and to support coal miners and their families. 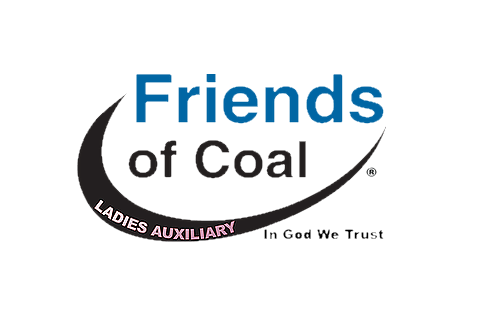 There were initially 2,000 members located in West Virginia, but because of the dedicated support and positive feedback from families and individuals, the Friends of Coal Ladies Auxiliary has grown into a nationwide organization of thousands of members. Since 2007, the Friends of Coal Ladies Auxiliary has worked to become active participants on charity, supporting troops in Iraq with donations of food, supplies and supporting local conservation projects. Among these projects, members work hard by donating their time and efforts to raise money for coal awareness. The members of the Friends of Coal Ladies Auxiliary come from a variety of background, professions, and economic statuses. Membership is FREE, and all are welcome to join the Friends of Coal Ladies Auxiliary in making West Virginia and the United States a better, safer place to live.